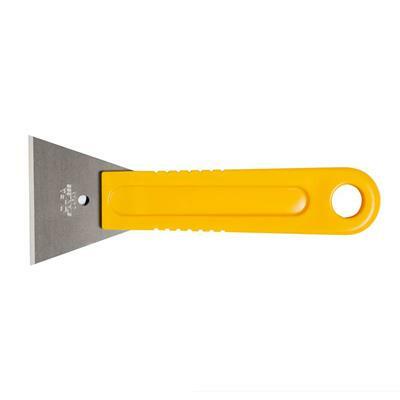 Yes, we do windows, thanks to this easy-to-use OLFA® scraper. We also do floors, too. The stainless steel blade offers better protection against rusting or longer use. Plus, the disposable scraper has an acetone-resistant handle that makes cleanup easy.